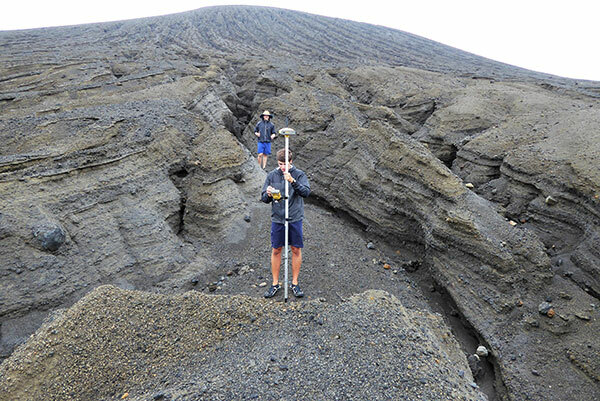 A new island near Tonga has officially been surveyed, courtesy of Goddard NASA scientist Dan Slayback. Most new islands vanish as fast as they appear from punishing ocean waves, but this one is different. It’s one of only three volcanic islands to live longer than a few months in the past 150 years, and the first survivor since satellites began collecting Earth imagery. “There’s no map of the new land,” Slayback said. 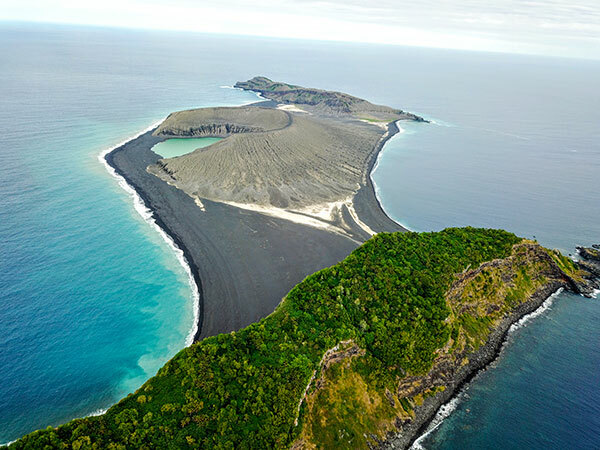 The island, nestled between two older islands, erupted from the rim of an underwater caldera in early 2015. The older islands were on some nautical charts at coarse resolution. Slayback has been watching the island via satellite since its birth, trying to make a 3D model of its shape and volume as it changes over time to understand how much material has been eroded and what it is made of that makes it partially resistant to erosion. But while high-resolution satellite observations provide some data, nothing beats a visit. On Oct. 9, 2018, Slayback and students with the Sea Education Association (SEA) measured the location and elevation of boulders and other erosional features visible in the satellite image. Using a high-precision GPS unit with a rover and base station, Dan and the students took about 150 measurements that narrow down each point’s location and elevation to better than 10 centimeters. They also used a drone to conduct an aerial survey of the island for another layer of observations to make a high-resolution 3D map. The elevation changes were more dramatic than Slayback expected. The data that the team gathered on the ground will help scientists hone the model they use to convert satellite images to ground heights, according to NASA. NASA scientists are keen to understand how new islands form and evolve on Earth; the knowledge may provide clues about how volcanic landscapes interacted with water on ancient Mars.